One of my friends asked me recently what my favorite memory was from my trip to Macedonia. I truly prefer not to make lists and rankings when I travel because, in my opinion, experiences are different, not necessarily better or worse. When she asked me, a whole gauntlet of images came to the front of my brain – paragliding, Matka Canyon, Lake Ohrid, the beautiful mountains, wine region – but that’s not the answer that came out of my mouth. I’m an outdoor guy, truly inspired by landscapes of beauty, however it was the exposure to the culture and traditions of the Macedonian people that, if I had to pick one, would be my choice for a favorite memory. That’s right – the eating and drinking. Surprise, surprise, I know. Yours truly at the Belvedere Hotel Cafana in Ohrid. 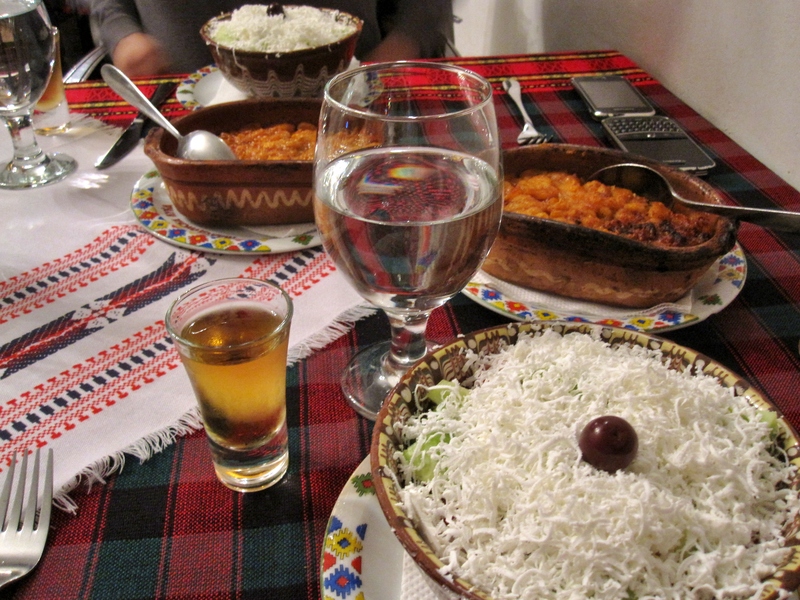 Drinking: Macedonia’s local booze selection has got you covered before, during, and after your meal. Your aperitif is Rakija, a whiskey-like liquor distilled from fermented fruit, typically from plums, cherries, grapes, and a variety of other fruits. You sip it straight at room temperature, usually from a tall shot glass. A common first stop on a night out is a “rakija bar,” where you throw back a few and munch on plates of fresh veggies and different dips. It’s cheap – a round of rakijas (4) can run you as low as $5 USD. For dinner, we moved on to local beer and wine. Shopsko, a gold-colored, easy-drinking pale lager, is the most popular beer in Macedonia. It’s a subsidiary of Heineken, brewed in Skopje, and given its light nature, I think it would go down best in the summer (although I had no problems with it this fall!). Did you know Macedonia has a wine country? They produce wine on 55,000 acres, and red wine accounts for about 80% of the production. I had the chance to visit Popova Kula Winery and taste of a bottle of Vranec, which is the country’s most common variety. It’s really deep in color like a Merlot but not as spicy, and I liked it very much (I lugged a bottle back home). It’s definitely worth a try should you see it at Total Wine or while abroad in the Balkin Region. A nice option for those wanting to experience wine country is to spend the night at Popova Kula Winery. 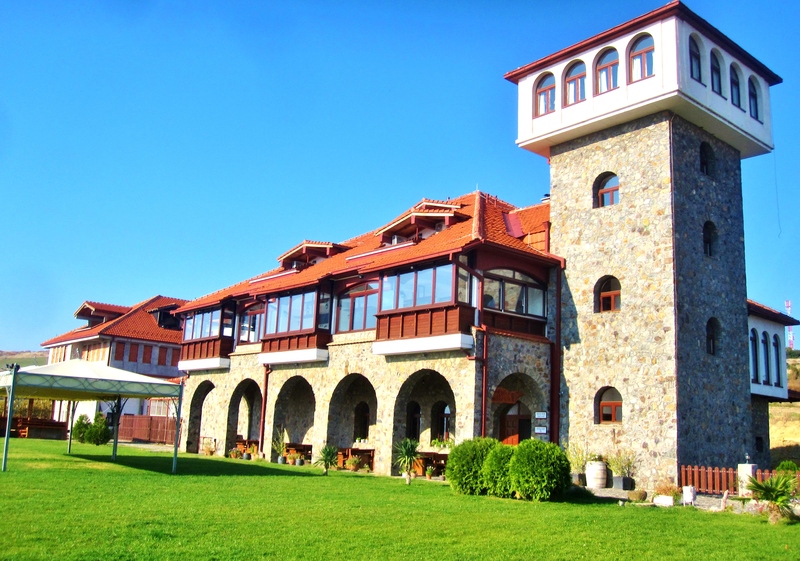 It has 11 rooms (including 4 suites) and an on-site restaurant serving Macedonian fare. Popova Kula Winery. Photo by Wake and Wander. After dinner, push back the chair with a glass of mastika, a liquor seasoned with a resin gathered from the mastic tree (a small evergreen native to the Mediterranean). Although it is typically served as an aperitif over ice, I enjoyed it as a late-night sipper, similar to the way one would enjoy Sambuca as it provides a similar, viscous drinking experience. 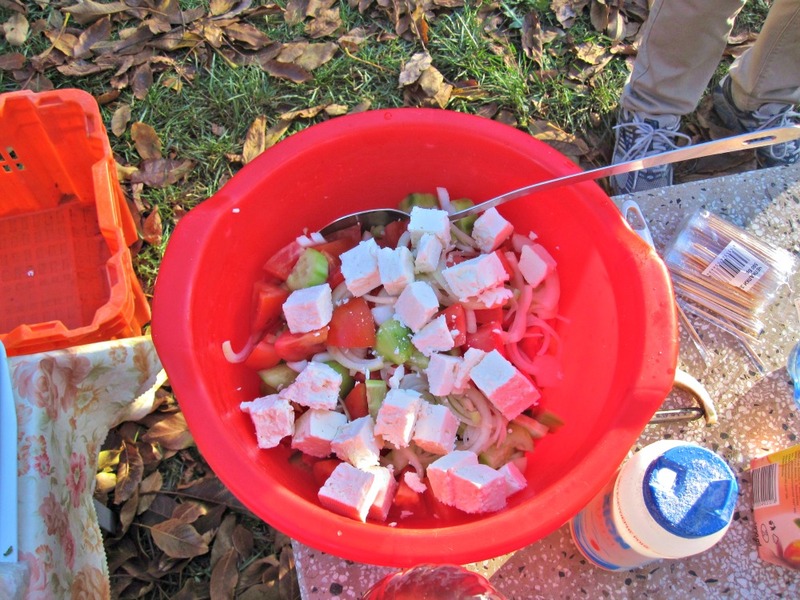 Eating: Macedonia truly has some incredibly fresh and tasty produce thanks to its Mediterranean location, and you can trust me on that as I speak from experience – I’m from South Jersey, where the farmland of the Garden State resides. 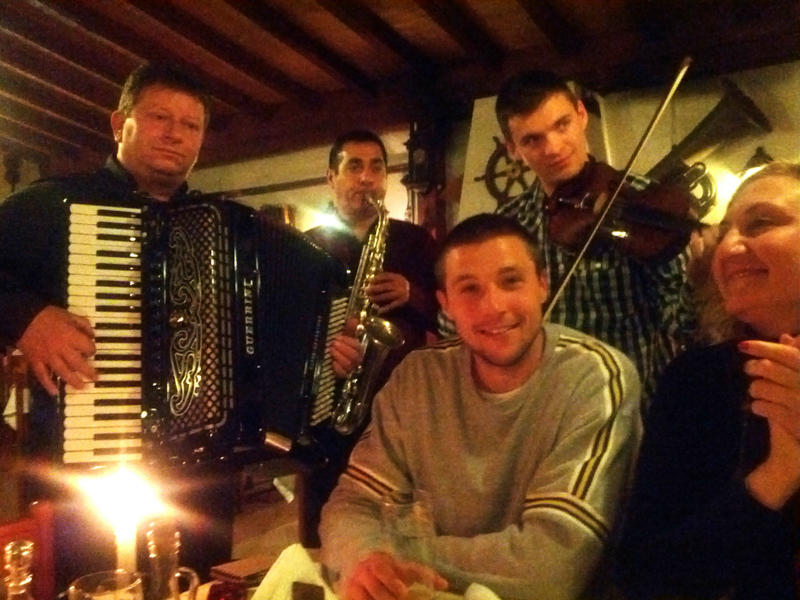 One of the more broadening experiences I had was eating at a local cafana, a high-energy restaurant with a pub-like atmosphere featuring live cultural music, dancing, socializing, and lots of eating and drinking (see photo). Cafanas tend to be much cheaper than other restaurants, which doesn’t not translate into a room full of young people. It only translates into a room full of people looking to have a good time. 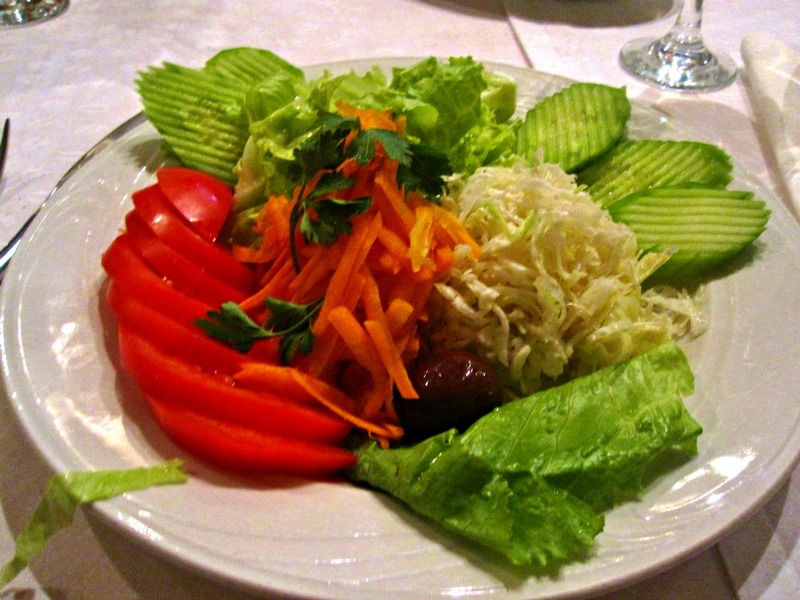 The Shopska salad (originally from Bulgaria and not to be confused with Shopsko beer) was one of my favorite dishes, very light and fresh because of the veggies yet also satisfying thanks to the salt of the white cheese. It’s essentially a simple salad topped with cheese made from tomatoes, cucumbers, onions and peppers. An olive is usually placed on top as a garnish. 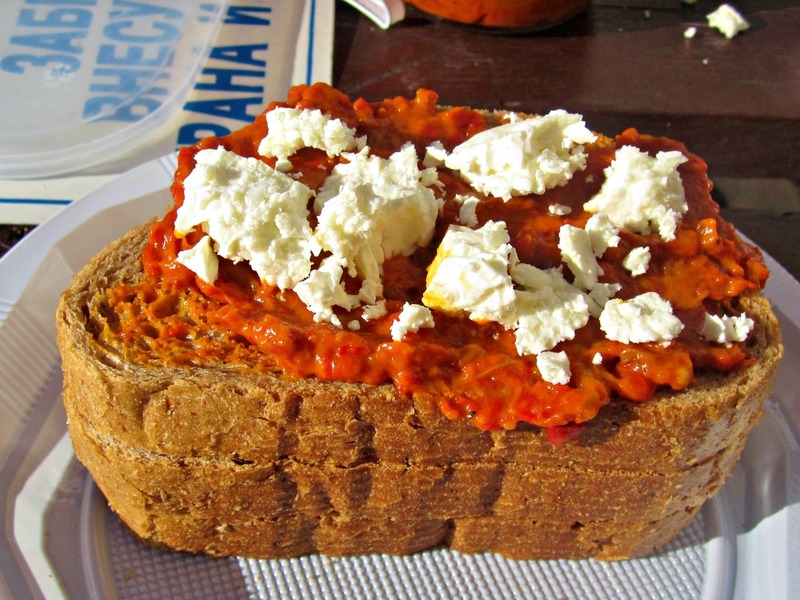 Other traditional dishes to keep your eye out for are Tavche Gravche, a baked-bean dish served in Macedonian earthenware, and Aijvar, a pepper paste used as a spread for bread (Macedonian moms compete to see who has the best family recipe). 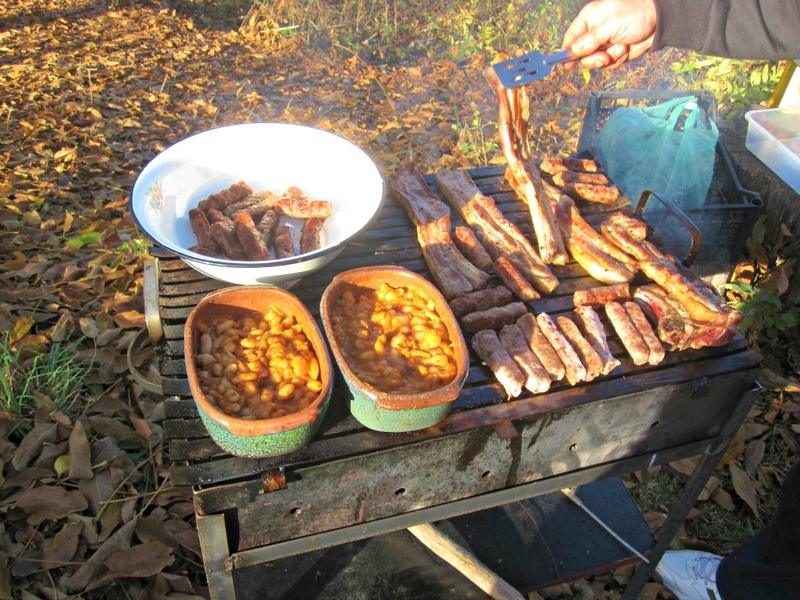 On the other side of the coin, the Macedonians love their meats, especially pork, as you’ll see evidenced in the photos below taken at a barbecue. Seafood is the way to go in Ohrid, as much of the fish comes directly from beautiful Lake Ohrid. 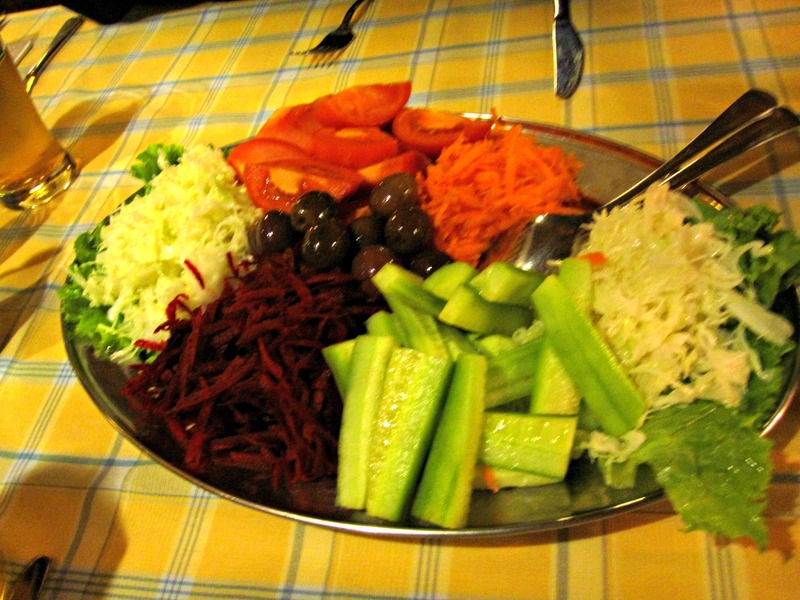 Cafana meal consisting of Shopska salad, Tavche Gravche, and Rakija. Photo by Wake and Wander. 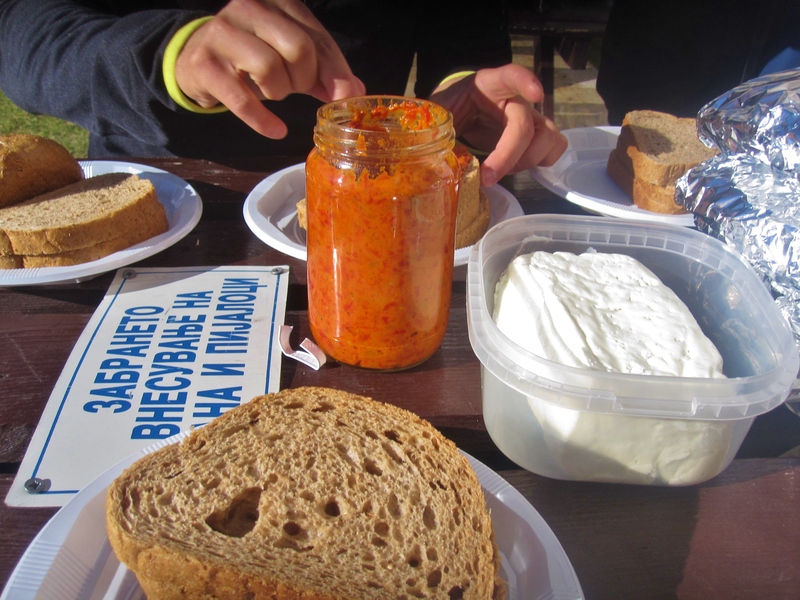 Chowing down on homemade Aijvar and white cheese. Photo by Wake and Wander. Bread with Aijvar and white cheese. Photo by Wake and Wander. Fresh veggie salad. Photo by Wake and Wander. Fresh veggies at a cafana. Photo by Wake and Wander. Another variation of Shopska salad. Photo by Wake and Wander. Tavche Gravche and lots of pork at a Macedonian barbecue. Photo by Wake and Wander. 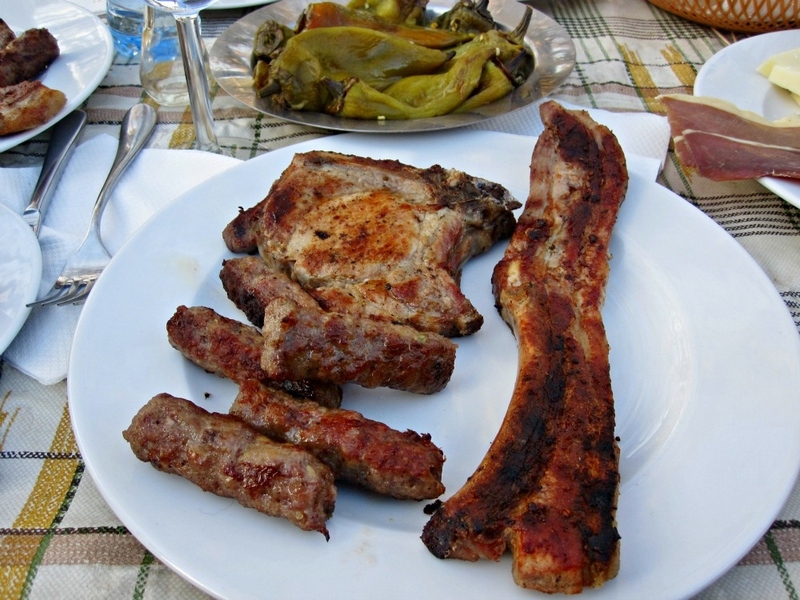 Meat plate served to me at a Macedonian barbecue. Photo by Will McGough of Wake and Wander. Yours truly at the Belvedere Hotel in Ohrid enjoying life music at the cafana.